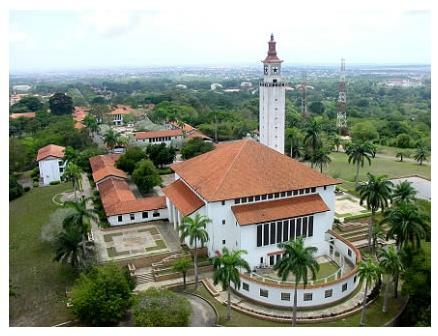 Many students at the University of Ghana participate in student organizations committed to community service. Two of these organizations are the Students’ Services Organization and the World University Service. The main objectives of the Students’ Services Organization are to stimulate students’ awareness of their role in the society and to engage in activities which would contribute to the enrichment of the life of the Ghanaian Society. To this end the Organization has been helping in self-help projects in deprived communities, and members offer free part-time teaching to some secondary schools in Accra and Tema. The Organization also engages in an annual "Clothing Drive" aimed at collecting various items of clothing for the rehabilitation centers and children’s’ homes. Membership is open to junior, senior and past members of the University. The Organization is financed through annual dues and donations. The student body of the University of Ghana is affiliated to the World University Service, an international association committed to the promotion of the human right to education on the basis of academic freedom and university autonomy, and participates in its activities through an executive committee, the members of which are directly elected by the Junior Common Rooms of the Halls. Each Hall elects one representative. The WUS at UG works to further international understanding and to raise funds for numerous projects in developing countries.